Consists of slightly rolling and gently sloped woods with some nice maples and pine groves. 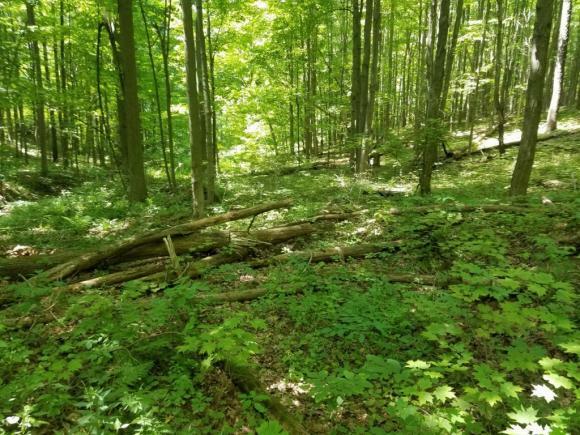 This property is ideal for someone who wants a private lot to build a home with an easy 15 minute commute to Ithaca. Electric has been extended from Creamery Road and is close to the property. The land offers a nice mix of hardwoods with enough maples for a small sugar bush to make your own maple syrup. Nice mature oaks with some marketable timber. There is a small run-off stream that runs along the southern edge of the property that adds to the tranquility and a spot for wildlife to access water. 00 Creamery Road, Caroline, NY 14817 lots and land was sold for $64,900.